You cannot connect your computer to the wireless network connection? We recommend updating your wireless lan card driver. Today in this post, you’ll learn the quick ways to get the correct Realtek RTL8723BE Wireless LAN 802.11n PCI-E NIC Driver for your Windows operating system. 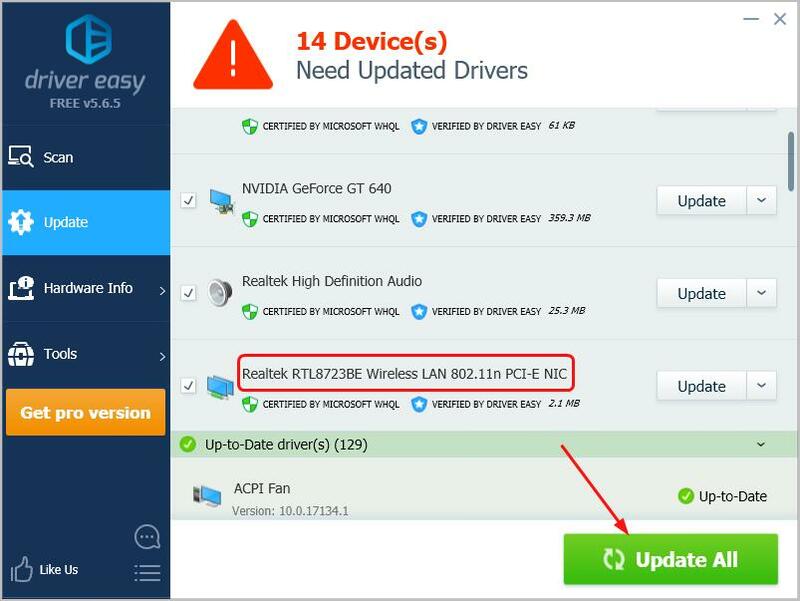 Manually – You’ll need some computer skills and patience to update your drivers this way, because you need to find exactly the right the driver online, download it and install it step by step. Automatically (Recommended) – This is the quickest and easiest option. It’s all done with just a couple of mouse clicks – easy even if you’re a computer newbie. Important: To download the driver requires internet connection on your computer. 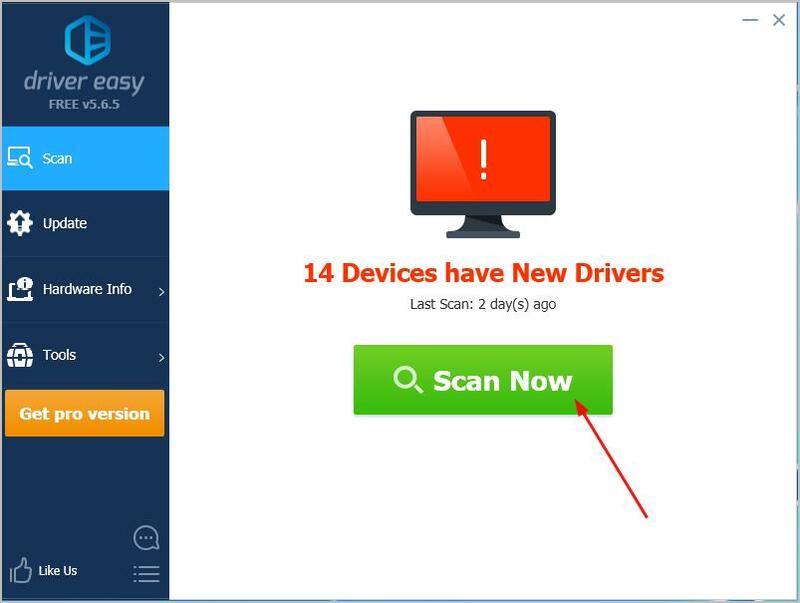 If your computer is losing Internet connect due to the driver, you can connect your computer to a wired connection instead or, you can try the Offline Scan feature of Driver Easy to help you install the driver without Internet on your problem computer. Go to the official Realtek driver download website. Select Communications Network ICs > Wireless LAN ICs > WLAN NIC > PCI Express > Software. Click Global of WLAN PCI Express Driver to download the driver package. Extract the zip file and double-click the .exe file to follow the on-screen instructions to complete the driver installation. You’ll then connect your Windows system to Wi-Fi without issue. If you don’t have the time, patience or computer skills to update your Realtek RTL8723BE driver manually, you can do it automatically with Driver Easy.